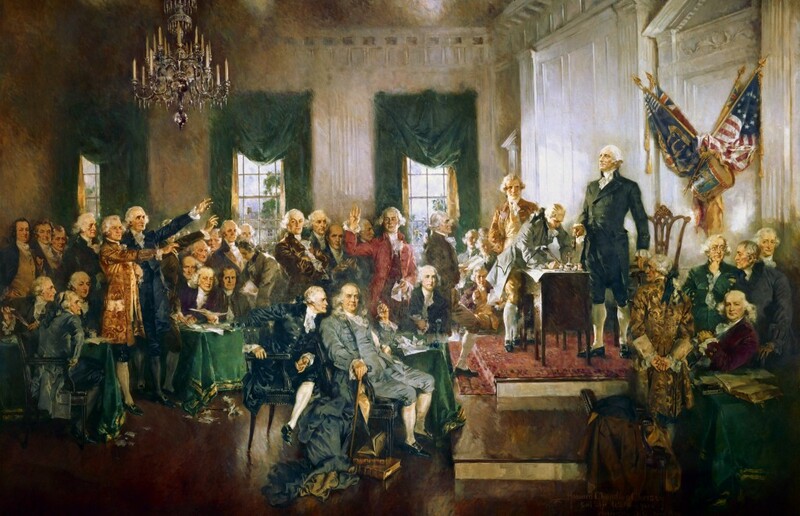 In honor of Presidents’ Day and the 2016 ongoing presidential campaign, I thought it would be appropriate to post an article I wrote for The Old School House Magazine last year titled, Our Founding Virtues. I hope you enjoy it. Why did you choose to homeschool your children? Was it solely to teach academics and prepare them for college and future careers? More than likely you began homeschooling, like my husband and me, for far greater reasons. Certainly, we wanted to give our sons a well-rounded education, and we were equally devoted to instilling a love of learning, building our family relationships, and creating precious memories. Even more important to us, however, was that we teach our sons about Christ’s love and foster qualities of character and virtue. But what exactly is character and virtue and how do we imbue those qualities in our children? Merriam-Webster defines character as being the way someone thinks, feels, and behaves and virtue as morally good behavior, character, or quality. Our Founding Fathers knew a thing or two about character and virtue. Search the internet for quotes by the Founders and you will discover hundreds of references to the value they placed on these qualities. They believed these traits to be so inextricably linked to a free society, in fact, that they made them the very cornerstones of our nation’s foundation. These same traits are equally essential to the foundation of our home schools, our children’s education, and the quality of graduates we ultimately produce. As Christians, our primary objective is to raise Christ followers and establish worthy character traits such as diligence, discipline, perseverance, moral fortitude, leadership, patience, love, kindness, and generosity, in addition to teaching academics. The good news? It is entirely possible to teach them all at the same time! My husband and I found the best way to instill character and virtue in our sons was to lovingly teach God’s Word and, by God’s grace, actively demonstrate it through our conduct. Children are able to absorb Scripture from an early age and will naturally copy the behavior of their parents. By basing our behavior on God’s statutes and attempting to weave Him into all that we do, say, and teach, we demonstrate The Lord lives not only in His Word, but that He is intimately involved in and guiding us through each and every aspect of our lives. Highlighting notable men and women of character and virtue, while studying history and the work God accomplished through their lives, helps reinforce this message, as well. Have you ever noticed how young children are naturally drawn to our greatest American heroes? Our sons, for example, had an innate desire to imitate men like Daniel Boone, Davy Crockett, and George Washington from an early age. Their costume box stood ever ready to aid them in these pursuits. This natural interest proved a perfect springboard from which to teach American history. More importantly, it helped us instill a sense of patriotism, character, leadership, and virtue, while also teaching them about their country’s unique Christian heritage. A longtime proponent of the unit study approach to homeschooling, I found it natural to weave our founding virtues into multiple subjects, especially history. By studying history with unit studies as our template, we were also able to make history fun and interesting and offer more creative, hands-on activities to our children, while weaving God’s precepts seamlessly into those topics. And, when it came to American history, there was no better place to start than with the Early Settlers and our Founding Fathers! Their rock-solid virtues are commemorated in America’s granite Monument to the Forefathers. 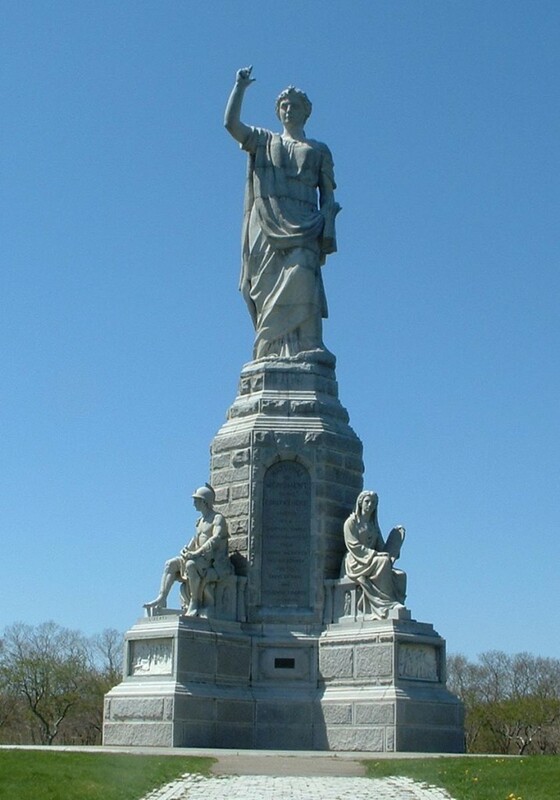 The monument stands watch over Provincetown, Massachusetts, and was featured in Kirk Cameron’s 2012 film, Monumental. The virtues engraved on the face of the monument serve as an effective teaching tool and extraordinary reminder of what made America great. It also provides our nation with a useful compass should we ever lose our way. The monument displays the virtues held most dear by our forefathers: faith, morality, evangelism, justice, mercy, Godly wisdom, education, and liberty. What a wonderful opportunity this affords us to teach our children not only history and current events, but our Christian heritage and Godly virtues all at the same time. Teaching our children about the birth of their country while dissecting the Declaration of Independence, investigating its fifty-six signers, and studying the American Revolution, extends this opportunity. John Adams once said, “Liberty cannot be preserved without a general knowledge among the people…children should be educated and instructed in the principles of freedom.” This is true for both boys and girls. The study of the Revolutionary War is not “just for boys.” Our Founders believed it was imperative that both boys and girls learn their nation’s history and that they be imbued with the character traits that were the building blocks of the greatest nation on Earth. The result of our faithful diligence will be a new generation of knowledgeable and patriotic men and women who will represent America’s future hope and strength. 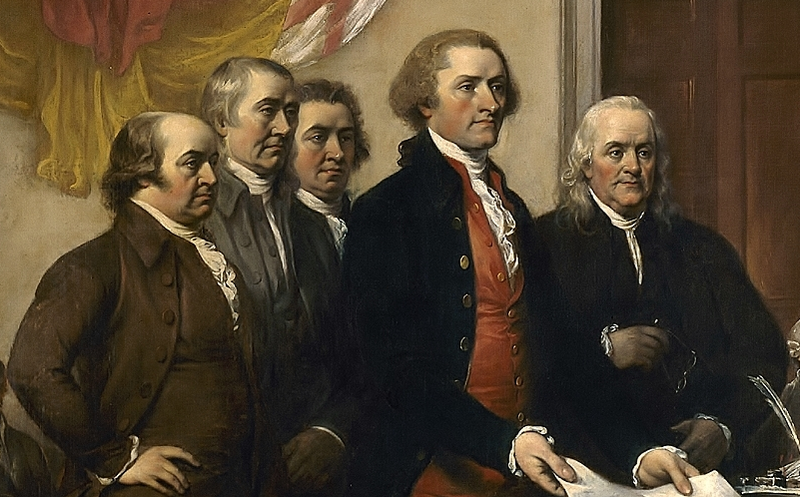 An in-depth study of the the United States Constitution and the men who crafted it is paramount to a strong America and also depends on the character and virtue of her people. In fact, it was John Adams once again who said, “Our Constitution was made only for a moral and religious people. It is wholly inadequate to the government of any other…The only foundation of a free Constitution is pure Virtue, and if this cannot be inspired into our People…They may change their Rulers, and the forms of government, but they will not obtain lasting Liberty…” Indeed, it is enormously important we focus on academics. The Founders recognized the value of a quality education for they, themselves, were extremely learned men. But they also recognized an education devoid of Christian values was meaningless. Spotlighting men and women in history who exemplified character and virtue in their lives is another great way to pour these qualities into our children. Outstanding biographies and quality documentaries serve as useful tools to do exactly that. Elevating men and women of God also provides our children with inspirational heroes to emulate. Historical fiction and other outstanding literature offer yet more opportunity to teach our founding virtues to our children. Quality classics and award-winning literature often contrast good characters with bad and illustrate the consequences of each one’s actions. Our family has always enjoyed reading great books together. Reading aloud has provided us abundant opportunities to address each character’s behavior, reflect upon it in light of God’s word, and discuss how it applies to our individual lives. Our Founding Fathers also saw character and virtue as indispensable ingredients in the ultimate success of a free republic. They were of the opinion that education and Christian values were inseparable. They demonstrated these beliefs when they passed the Northwest Ordinance of 1787. It stated “Religion, morality, and knowledge, being necessary to good government and the happiness of mankind, schools and the means of education shall be forever encouraged.” In other words, the Founders believed a good education not only included religion and morality, but believed them to be absolutely “necessary” to a good education. So, if there are days when you find yourself disciplining your children more times than the number of math problems they completed, or “building their character” more often than the number of spelling words they got right, or reading more chapters in that awesome biography or Newbery award winner than you originally intended, or more importantly spending extra time in your family devotional than you had planned…good for you! Those are the days which will yield the greatest long-term rewards. And, it will be in those precious moments when you will be teaching the things that truly matter…character, eternal truths, and…Our Founding Virtues.